In the current study, the concentration of heavy metals including lead (Pb), chromium (Cr), cadmium (Cd), and aluminum (Al) in commonly instant noodles consumed in Iran (either imported from other countries or produced in Iran) was investigated by acid digestion method followed by an inductively coupled plasma optical emission spectrometry system (ICP-OES). 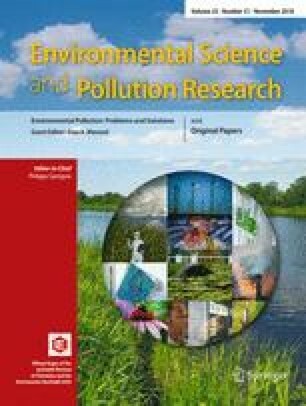 Also, the associated non-carcinogenic risk due to ingestion of heavy metals for adults and children was estimated by calculating percentile 95% target hazard quotient (THQ) in the Monte Carlo simulation (MCS) method. The average concentrations of Pb, Cr, Cd, and Al in Iranian instant noodle samples were measured as 1.21 ± 0.81, 0.08 ± 0.10, 0.03 ± 0.06, and 9.15 ± 4.82 (mg/kg) and in imported instant noodle samples were 1.00 ± 0.61, 0.07 ± 0.07, 0.04 ± 0.03, and 15.90 ± 0.93 (mg/kg), respectively. A significant difference (p value < 0.05) in the mean concentration of Pb, Cr, Cd, and Al of Iranian instant noodle and imported instant noodle samples was observed. Also, the concentration of Pb, Cr, Cd, and Al in all brands of instant noodle (0.025 mg/kg, 0.050 mg/kg, 0.003 mg/kg, and 0.237 mg/kg, respectively) surpassed the WHO-permitted limits for Pb, Cr, Cd, and Al. Percentile 95% of THQ of Pb, Cr, Cd, and Al for the adult consumers was calculated as 0.012, 0.000007, 0.010, and 1.789; while in the case of children, percentile 95% of THQ of Pb, Cr, Cd, and Al was defined as 0.044, 0.00023, 0.035, and 6.167, respectively. Health risk assessment indicated that both adults and children are at considerable non-carcinogenic health risk for Al (THQ > 1). Therefore, approaching the required strategies in order to reduce the concentration of heavy metals particularly Al in the instant noodle is recommended. The study presented in this article was partly extracted from the thesis of Behrouz Tajdar-oranj (MSc student in food safety and hygiene). Amin Mousavi Khaneghah likes to thank the support of CNPq-TWAS Postgraduate Fellowship (grant no. 3240274290). This study was financially supported by the Tehran University of Medical Science (School of Public Health).